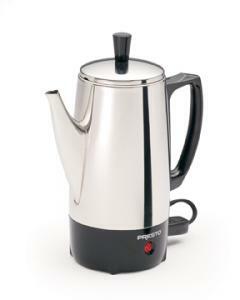 Makes 2 to 6 cups of rich coffee, then keeps it piping hot automatically. Made of luxurious stainless steel for easy cleaning and lasting beauty. Classic design and easy-pour spout provide for elegant coffee service anytime.